have a pinch free weekend! your hair is seriously so beautiful! love the post & the photos miss! So glad you're having a great spring break! LOVELY sweater, too...and jeans...and shoes. I have the same ones and they're one of my favorite pairs. You are you so cute! I love that sweater! Such a great find!! even though spring is right around the corner, I still can't get enough of chunky knit sweaters!! they're so yummy and cozy!! and you definitely wore yours SO well!! so many cute photos of you, you and your mom, and you and Phil! havea wonderful St. Patty's WEEKEND! 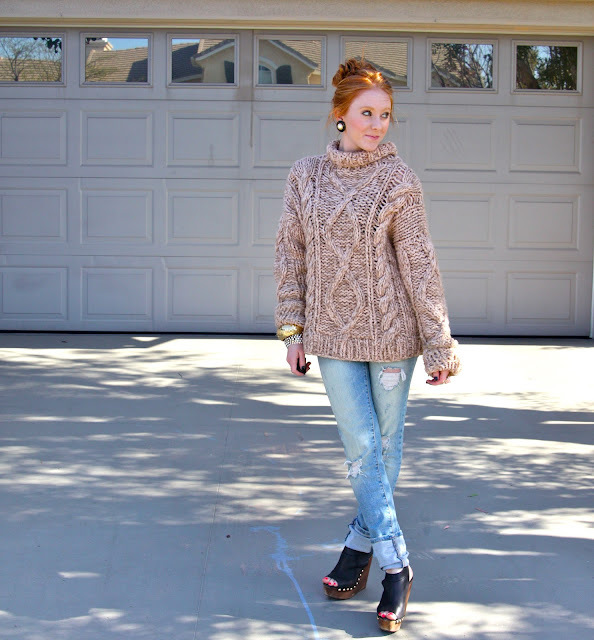 Love the chunky knit!! You have stunning hair! It is a gorgeous jumper! I can see why you love it so much! Looking stunning in these pictures, as always! Thats an amazing sweater! And I love how you got it for $5 too:) Btw, your gorgeous! I love your hair! Such cute photos! 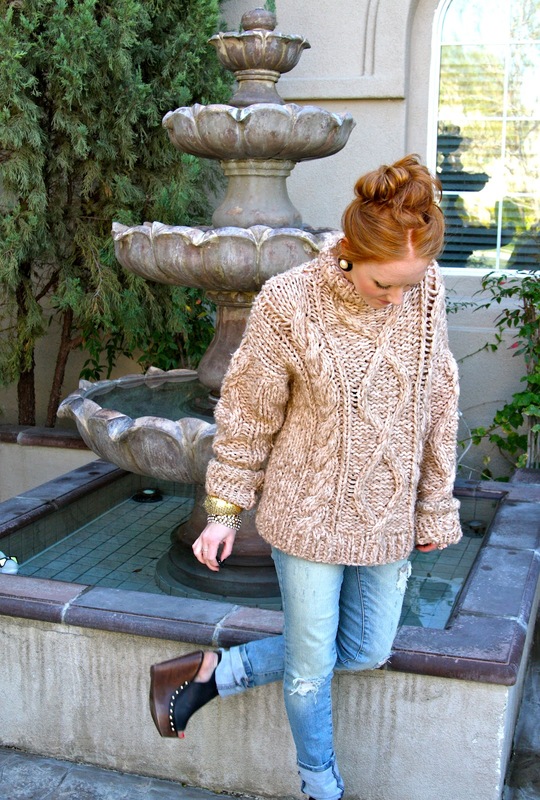 LOVE the chunky sweater...and those shoes are amazing!! What a lovely knit! nice outfit. aw you look soo cute in that sweater! :D all bundled up and warm :) love this look!! love your chunky sweater! your hair is GORGEOUS as well. So glad you are enjoying your spring break! Your mother is so gorgeous! With this rain we are having, I want to put on a cozy sweater just like yours. Such a great find! outfit is perfect!! !love your hair!!! I'm totally loving big knits right now and you wear it so well! love the wedges! I love that sweater, can NOT believe it was only $5!! So adorable. 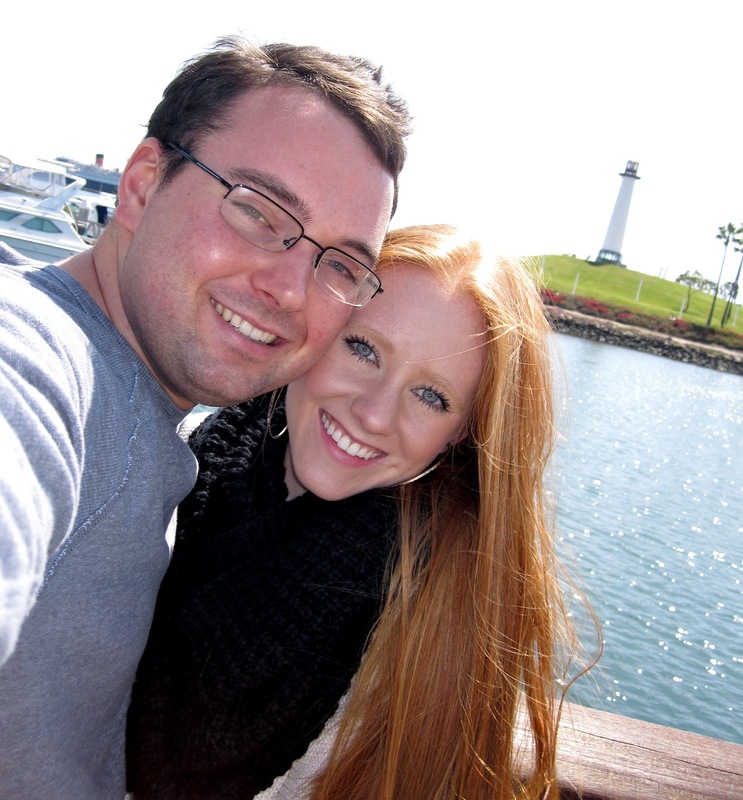 And you and your guy are beyond cute, so great that you two still have so much fun together! love your sweater, it looks so cozy and perfectly chunky! Hands down..you have the BESSSST HAIR!!! And I love that sweater...wowowowowoeeeee!!! It's the perfect sweater! Your jumper and earrings are perfect together and what a bargain, $5! this is a goregous chunky sweater!!! love the color, too. glad to hear you are making good use of your break!! I just followed you on Instagram! You'll see @moonstick! Your family is SO beautiful! !